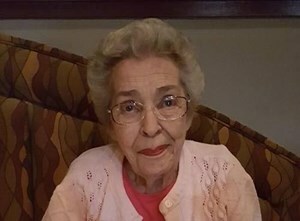 Beverly Ann Bistor, born January 11, 1938 in Mohawk, NY to Evelyn and Clayton Casler, passed peacefully into the welcoming arms of our Lord on February 5, 2019 at the age of 81. Beverly was the beautiful and beloved wife of Robert H. Bistor to whom she was married for almost 62 years. She spent her early life growing up in Middleville, NY and Scotia, NY. After marrying her husband in 1957 in Scotia, NY, they moved to Newburgh, NY and eventually settled in Colden Park where they raised their three sons. Among her many volunteer activities, Beverly was very active in Cub Scouting in Hudson-Delaware Council (now Hudson Valley Council) where she began volunteering as her sons’ den mother and eventually ran the council’s monthly roundtable training meeting for many years. In recognition for all of her contributions to Scouting, the council awarded her the prestigious Silver Beaver Award. Beverly retired from Sears Roebuck Company and she and her husband have spent the last 5 years as residents of Orlando, FL. Besides her husband, Beverly is also survived by her three sons, Robert D. Bistor and his wife Maureen of Orlando, FL; David S. Bistor of Rio Rancho, NM; and Tad J. Bistor of South Windsor, CT; her sister Marlene Quinn of Louisville, KY; her brother Robert Casler of Clifton Park, NY; her four grandchildren, Christopher and Steven Bistor of Newburgh, NY; Sabrina Shea of Odessa, FL; and Jaime LeFleur of Tampa, FL, as well as nieces, Sharon Elzy and Mary Ellen Padgett of Louisville, KY; Melissa Cross of Plattsburgh, NY; and Julie Brown of East Greenbush, NY; nephews, Mark Quinn of Louisville, KY; Matthew Casler of Scotia, NY; and Paul Casler of Denver, CO; and great-grandchildren, great-nieces and great-nephews. A Memorial Service and Celebration of Life for Beverly’s family and friends will be held February 24, 2019 in Orlando, FL. Details of the service are available by contacting BongoBob1@aol.com. For those inclined, in lieu of flowers the family prefers a donation to the Alzheimer’s Association (Alz.org) or the American Cancer Society (Cancer.org) in Beverly’s name. She is loved by all and will be greatly missed. Add your memories to the guest book of Beverly Bistor. Beverly was a very loving and caring lady. she loved crafts and gave of herself in making beautiful craft items for ladies attending our Mothers Day Luncheon and also a manly item for the men attending the Fathers Day Luncheon here at Gulfstream Harbor. She even liked standing at the door to greet everyone and give them their special item. A truly elegant lady who will be sorely missed. My heart is broken with the passing of Bev. We live in the same park. She has brought much happiness to all those here who knew her. She was so kind and made so many crafts for many to share at special events in our park and at our monthly craft class. We were waiting till her surgery was over to make a craft she presented to our group. I hope we can still do it. she had a smile for all her neighbors. She had just started giving my friend a ride to the home where Mr. Bistor was living so my friend could see her husband who is also there. All the staff there remember her smile and kindness. I lost my mom last year and it all came back when I heard we lost Bev . God Bless her and all the family during this difficult time. I will always miss you Bev and so happy we knew you these few years. In God's Love , Lynn Morgan From Gulfstream Harbor. While I never met Beverly, I do know her son, Bob. From what I know of Bob's character, his Mom did an outstanding job raising him. He is truly a reflection on her kind, caring and giving ways. May you forever rest in God's loving arms. It was such a pleasure meeting your parents at your home. So touching to see how devoted they were to each other as you both were to them. Never easy but they are together again.